The 3rd edition of Runway Ghana International Showcase comes of in May this year and BT Model Agency, franchise holders of the annual event has announced four top female Ghanaian celebrities as honorees, the first of its kind in the three year history of the showcase. 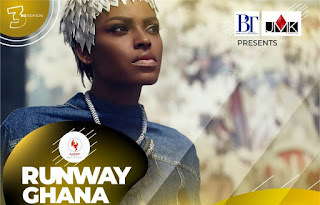 Let’s take a look at the individuals who caught the eyes of the reputed organization with their hardwork and contributions to Ghana’s fashion industry. 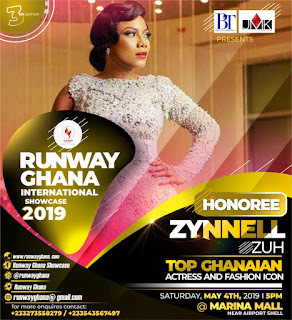 Born Zynell Lydia Zuh on July 18th, 1990 in Accra, Zynell, as she is affectionately called by fans and industry colleagues is an actress, screenwriter, producer, model, TV personality and philanthropist. Zynell Zuh is a proud voltarian and the only female amongst six siblings. Her career dates as far back as 2004, right after she completed her secondary school education. Her first on-screen appearance was in Point Blank Media’s television series dubbed “Sticking To The Promise”. 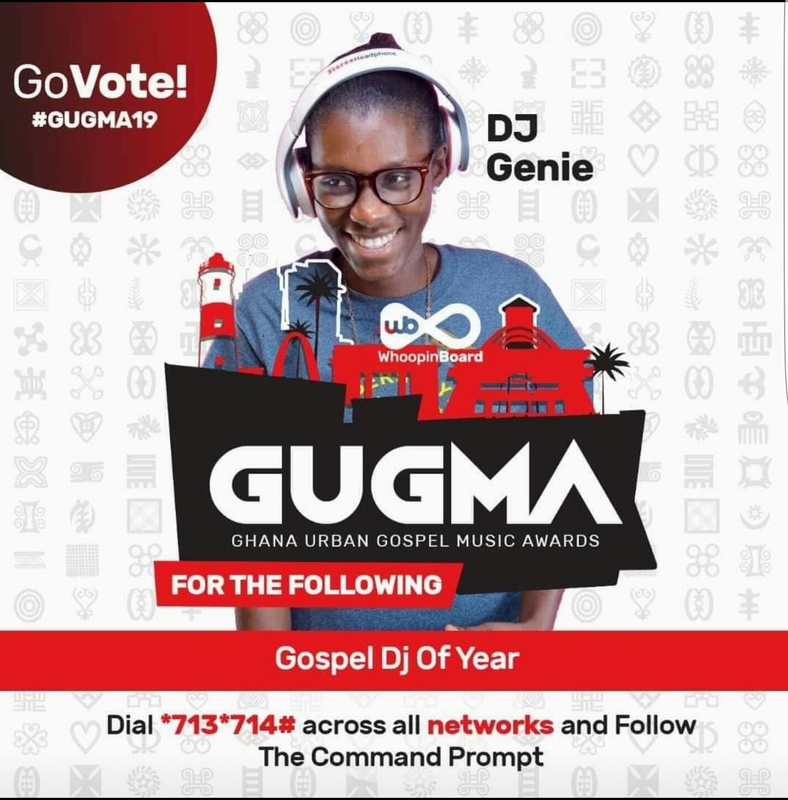 She would later be discovered by Ghanaian movie director Shirley Frimpong-Manso and go on to star in movies such as Adams Apple, Single Six, When Love Comes Around, Just Married, Temptation, For Better For War, Wannabe, Seduction among others. She has starred in over 50 Ghanaian and Nollywood movies and still counting. Zynell Zuh’s sense of fashion and her contributions to the fashion industry cannot be overemphasized. She does not fail to bring her sense of fashion to bare anywhere she finds herself and is noted for putting on exquisite dresses with accessories to match. When it comes to fashion, she’s the real deal. 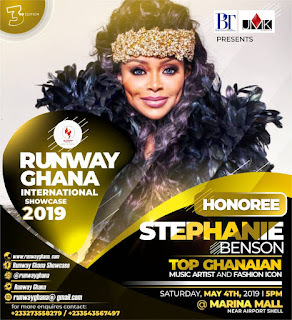 Stephanie Benson was born in Ghana to wealthy, royal parents, a pharmaceutical millionaire and his fourth wife named Queen Nana Boahemah II, who had seventeen children. Her musical career began at the age of three when she started learning how to play the piano. She added the violin and cello when she was enrolled at the National Academy of Music at the age of eight. She became interested in playing the piano after her father often played the instrument to her before bedtime. Benson is an older sister of Ghanaian gospel singer, Akosua Agyapong. After her father’s death when she was fourteen, she moved to London, United Kingdom to explore life in a different part of the world. During her stay in London, she channeled her energy into playing the piano under the watchful eye of her uncle, and later got a residency singing and playing in one of the famous nightclubs in London. Since taking on music commercially, Benson has entertained celebrities and important personalities at public and private events including the British royal household and Prince Charles. She received another invitation to sing for Prince William before his wedding to Kate Middleton on 29 April 2011. In 2015, Benson underwent surgery for breast cancer, a situation she described as shocking when she was diagnosed, revealing that she had lost her grandmother, mother and other relatives to the disease.Following her survival, she trained to do a mountain walk in France on 1 September 2016 with the Dutch “Singing for your Life” team to raise funds towards a cancer research and mobile mammogram unit for Ghana, and support for the Dutch Cancer Society. 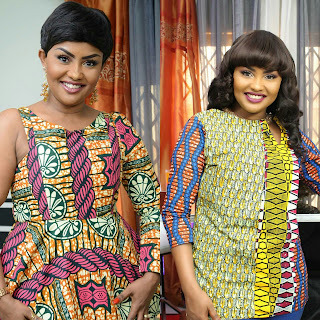 Benson has publicly talked about surviving breast cancer after undergoing a total of 28 hours of surgery within three days. 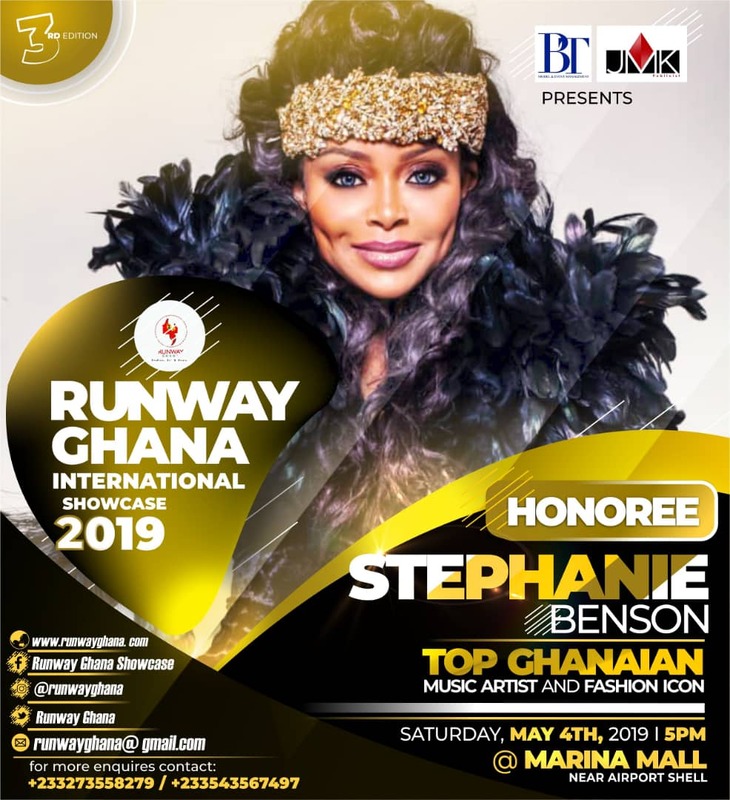 Her brand appeal and sense of fashion has been hailed and also criticized by Ghanaians but through it all, she is an inspiration to women and her fighting spirit is worth emulating. 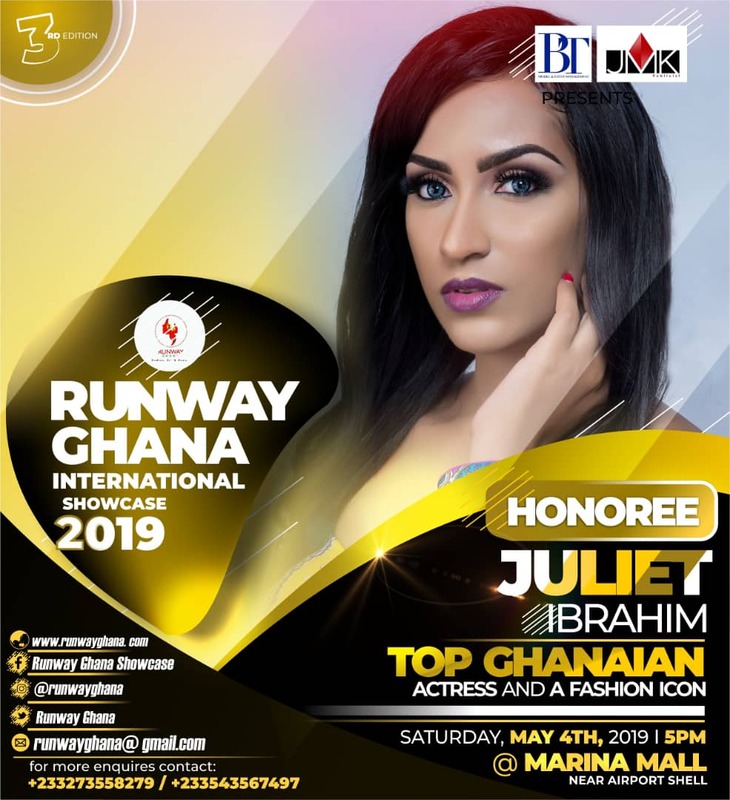 Juliet Ibrahim is a Ghanaian actress, singer, film producer and humanitarian born on March 3,1986. Juliet was born in Ghana to a Lebanese father and a Ghanaian/Liberian mother. She is the first child and has two sisters; Sonia, Nadia and a brother. She studied at the Ghana Institute of Languages , where she studied English, French and Spanish. She also studied Marketing, Advertising and Public Relations at the Ghana Institute of Journalism. She can speak English, French and Spanish. Juliet Ibrahim got married to Kwadwo Safo Jnr, son of Ghanaian car manufacturer Apostle Dr. Kwadwo Safo in 2010 but divorced in 2013 for unknown reasons. She is a mother of one. Juliet is a fashionista! Her fashion taste is one that is desired by a lot of ladies in West Africa especially. She is a role model to many. Victoria Michaels is an international model, a PR, Marketing/Brand Communication and Banking practitioner and a passionate entrepreneur. 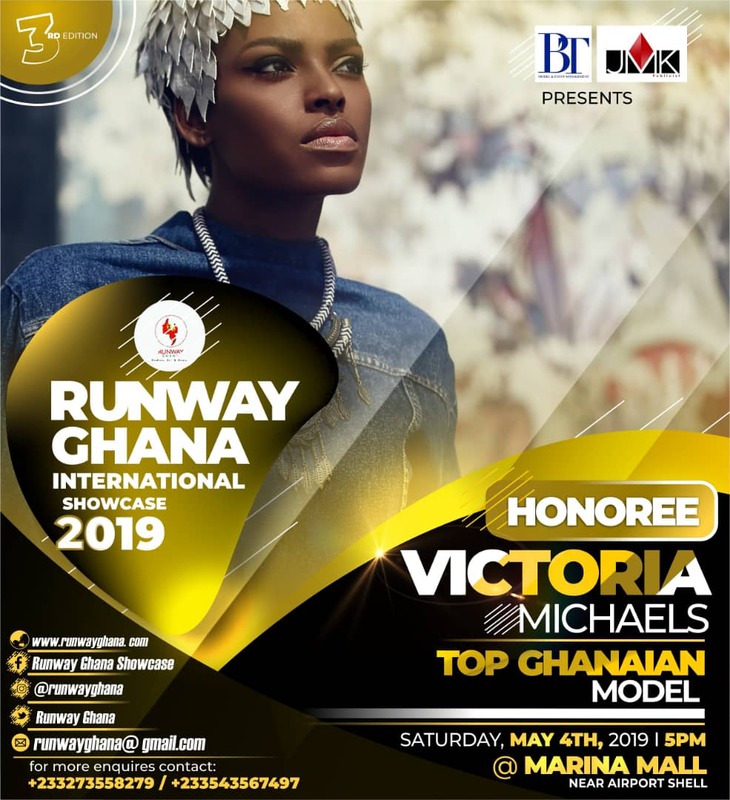 Victoria began her career at the age of 17 when she won as a first Runner up for the Miss Francophone Ghana Beauty Pageant. Participated as a runway model in AU Summit GOLD Show, BBC Fashion Show, Dubai Fashion Week,Africa Fashion Week London and Nigeria, FAME Nigeria, FIMA International Fashion Show, Afrique Fashion Week Italy and Dark & Lovely Fashion Show. Victoria has also been invited as guest to some of the prestigious fashion shows in the globe including the London and Paris Fashion Weeks. She was recently awarded the first Angel of hope award at the Ovation carol night where she was honored side by side with the former president of Ghana Dr Jerry Rawlings and her mentor Mr. Kofi Ansah who was honored post -humously. Top Model extraordinaire, she is definitely your true definition of beauty and brain combined, multitalented, Savvy, bright and focused; she parlays a background as a beauty pageant and an exceptional runway/commercial model. A Social Change Advocate, Victoria’s passion for Women and Children Education led to the establishment of the Victoria Michaels Foundation – A nonprofit organization seeking to empower women and less privileged children across Ghana to discover their potentials and deploy it for greater society use. She hopes to make the foundation’s work an African wide project by 2017. 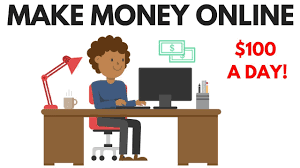 Victoria’s inspiring leadership has also led to the creation of The Africa Literacy Development Initiative (ALDI) a Five Hundred Thousand Dollars ($500,000) educational empowerment project for rural and underserved schools in Ghana and other parts of Africa. International Model Victoria Michaels has been featured on major publications like CANOE, Vogue Italia, O Yes!, Enjoy and Mirror; Groomed by the legendary Kofi Ansah of blessed memory, multiple awards winning Victoria Michaels is known to take up leading modeling roles both on the runway and as one of the most sought after brand ambassador for leading businesses in Ghana. Lead commercial model for Woodin, face of Bela-Aqua mineral water, Brand Ambassador for the MELCOM Group- Ghana biggest retail chain , She has played major role in commercials for Hertz Rent-a-Car, MTN, Da-Viva, Nescafe, Major online Campaign for Vodafone alongside international acts D’banj and Sarkodie, Face of Ariel Haven’s Spa, Ambassador of SAGE , a nonprofit organization aimed at empowering high school students across the globe. She already commenced An African wide project by 2020 in Soweto South Africa. Featured in Destiny Magazine,Bona Magazine,True Love Magazine,True Essence,Okay Africa Magazine to mention a few. Also worked with Dolce& Gabana,Guess,Woolworth,Emilio Pucci,Yardley London just to mention a few. Currently signed with Boss Models South Africa. 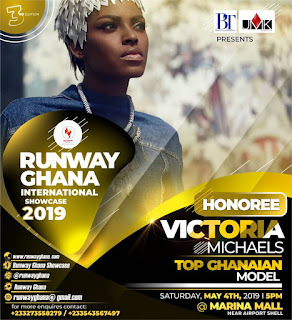 Runway Ghana International Showcase 2019 comes off at the Marina Mall on May 4 and is strictly by invitation.